Need mattress size measurements? Wondering the dimensions of a mattress? You need to know the size a certain mattress is in dimensions if you are going to be buying a new bed. Whether it be a Twin, Full, Queen, Crib, King, or a California King, dimension charts and sizes are below. Before you buy a new larger bed, be certain to measure the room it is going to be in to be sure it will fit comfortably! Perfectly suited for 1 child or 1 adult. 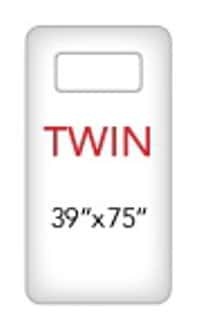 The size of a twin size mattress is 39″ wide by 75″ long. This extra long mattress is 5″ longer than a twin mattress. 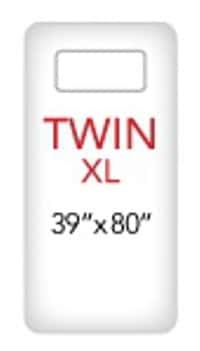 The size of a twin XL size mattress is 39″ wide by 80″ long. This mattress is 15″ wider than a twin. 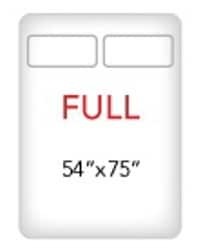 The size of a full mattress is 54″ wide by 75″ long. This mattress is 6″ wider than a full size. 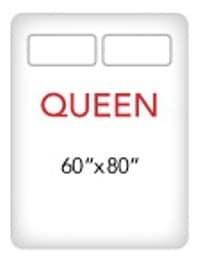 The size of a queen mattress is 60″ wide by 80″ long. The most popular mattress size is the Queen mattress. This mattress is 16″ wider than a queen size. 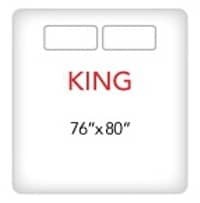 The size of a king mattress is 76″ wide by 80″ long. The box springs are split (2 box springs) because a king mattress is long and wide. This mattress is 4″ smaller in width than a normal king size mattress. However, it is 4″ longer than a normal king mattress. 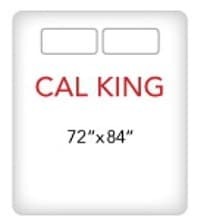 The size of a California king mattress is 72″ wide by 84″ long. 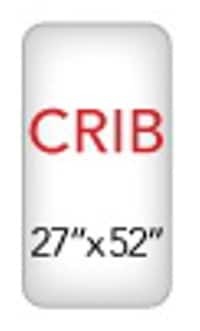 The size of a crib mattress is 27″ wide by 54″ long. If you need assistance finding the right mattress for you, here is a great guide for the best mattresses money can buy. If you are looking for pillows designed specifically for neck pain, here are the top 10 best neck pain pillows on the market today. If you need ideas for your bedroom, here are some great ideas to make your bedroom look like a 5 star hotel. If you just bought your new mattress and the bed frame is making squeaky noises, here is a great way to stop a bed from squeaking. If you are going to be installing a headboard on your bed, here are some options for installing a headboard on the wall or to the bed. If you have a headboard and want to light it up with some comfortable and inviting lighting, here are some options to light a headboard with LED lights. If you want to get creative, here is a great way to make your bed frame look like it is floating. If you have any questions or comments about bed sizes, dimensions, or types of mattresses, please leave a comment below. Next post: Samsung Refrigerator – Demo Mode – How To Turn Off?